Custom physics simulation software for tensile structures. 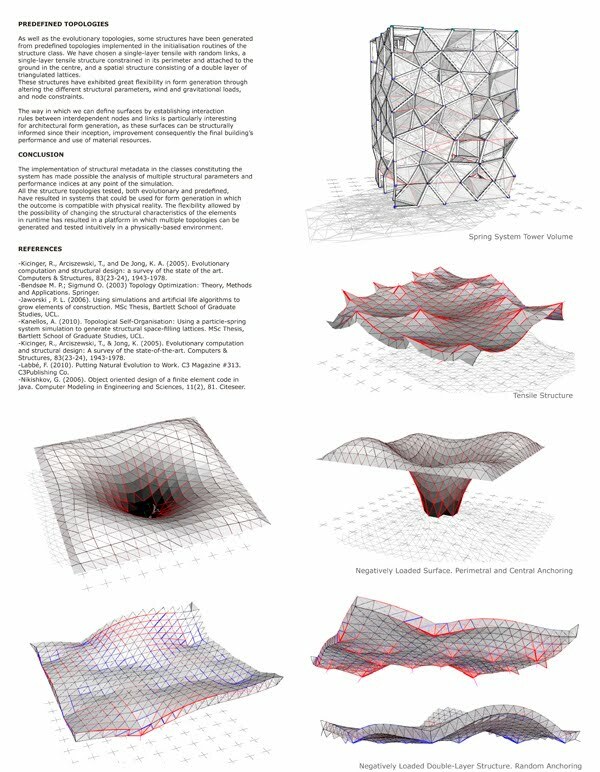 This project sets out to generate and evolve different structural topologies within an environment in which physical laws are simulated, allowing for structural performance to be measured. 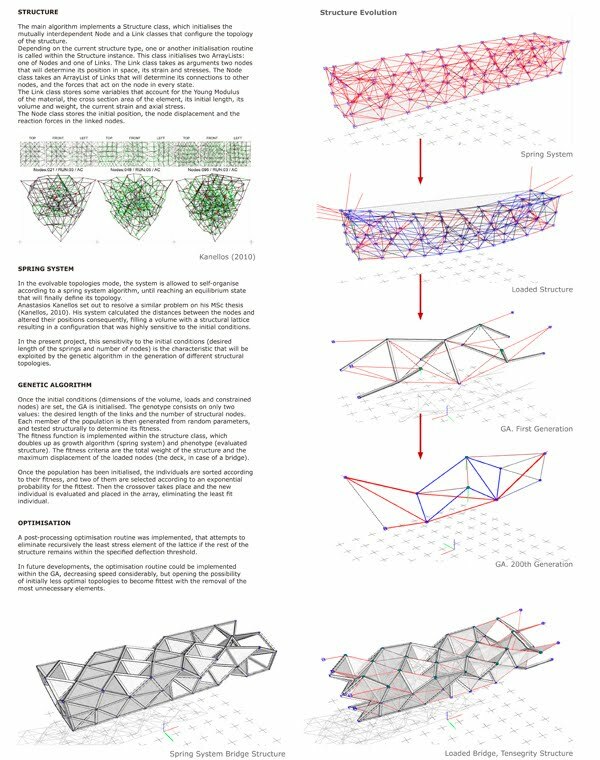 – Predefined topologies: Structures defined by pre-set topologies, using the physical simulation engine to reach the equilibrium state defining the final form of the structure. – Evolutionary Topologies: A genetic algorithm defines the parameters of a constrained spring system that generates populations of structures evolving towards an optimised solution. The implemented architecture of nodes and links with embedded metadata containing the physical properties of the elements permitted the measurement of the total weight of the structures, maximum deflections, horizontal displacements and number of elements. These data were later used to determine the fitness of the individuals in the population.